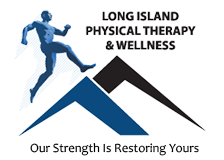 At Long Island Physical Therapy & Wellness, we work with our patients to create a training program that is right for them. Based in Plainview, New York, we specialize in physical therapy for athletes and provide the best sports physical therapy, but we treat a variety of injuries and physical conditions. No matter what physical ailment you are facing, we are here to help you overcome it. This information is used to create an individualized treatment plan and training program that fits your needs and goals. We offer therapeutic exercises that are designed to restore normal range of motion, balance, and gait, as well as increase strength and functional capacity. Our manual therapy includes myofascial medical massage, soft tissue mobilization, joint mobilization, and manual spinal traction. We offer post-operative rehab for those who have undergone ligament and tendon reconstruction, meniscus repairs, joint replacement, or spinal fusion and discectomies. Our licensed physical therapists have even created a geriatric fall prevention program that focuses on strengthening, balance, and gait training. We also offer the latest modalities, such as hydrocollation, cryotherapy, neuromuscular stimulation, and ultrasound.